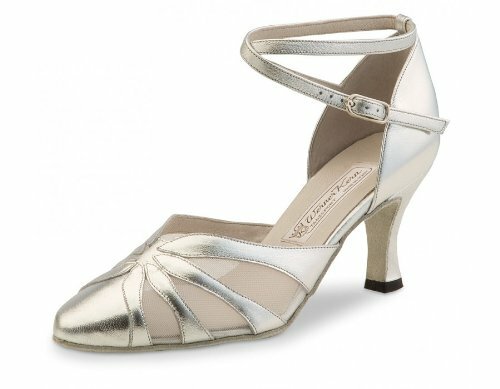 Sophisticated and extremely comfortable Werner Kern Model Linda dancing shoe. Filigree interruptions with underlying fine mesh material give the shoe its light appearance. The enticing heel straps guarantee a comfortable and stable fit and are individually adjustable. Available in Black Leather or Silver Leather.